I wish every restaurant owner could read this story. After I ate lunch and walked to my car, I noticed a sign for a juice bar. I wasn’t hungry but I figured I’d check it out. A woman named Mary greeted me. She acted like I was a long lost relative. She was smiling, welcomed me, and comfortably dove into talking about the juice bar’s food. She was conversational, informed, and passionate. It was the greeting I often describe should happen but too seldom does whenever customers enter a business. I asked her if she was the owner. Nope. Then I asked her if she was the manager. No. “You’re an employee?” I asked in astonishment. “Then I need to speak with your manager,” I explained. “I want you to know that I just ate and I’m not even hungry but because you’re so incredibly friendly, I’m going to order food. You make a fantastic first impression,” I added. 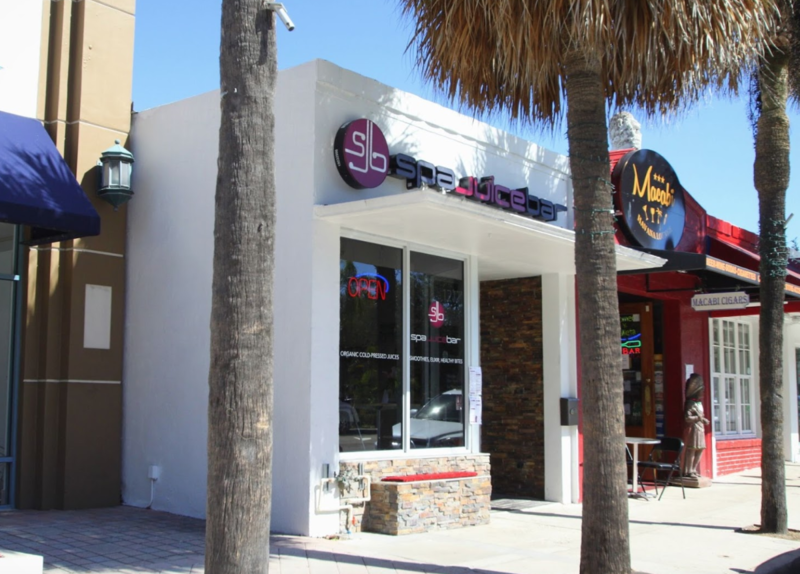 I had accidentally stumbled upon SpaJuiceBar on Las Olas Blvd. in Fort Lauderdale, Florida. My first unplanned restaurant review was underway. An equally warm gentleman named John, one of the owners, greeted me. I told him how I had no plans to eat at his restaurant but just ordered $40 worth of food because of Mary. He was beaming with pride and didn’t seem surprised. After speaking with John for a few minutes, I could see why Mary was so bubbly. John listened, made eye contact, and showed a sincere interest in me as a customer. I told him if the food is good, I’d return even though I don’t live in the area because my experience was so positive. It gives me so much joy to recognize people with such good energy–people who understand how to successfully operate a business. I’m thrilled to report that the food matches the customer experience. The menu is teeming with options. 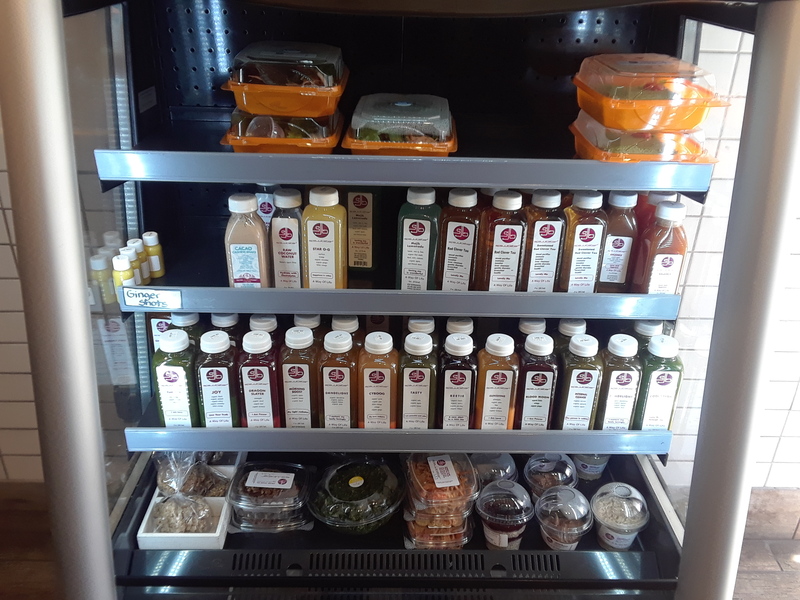 I chose sushi ($11), two bags of highly recommended kale chips ($5 each), and a green juice ($11). I didn’t think the customer service could get better until Mary offered to take my sushi out of the container it’s in (they have a prepared foods section so you don’t have to wait) and put it on a plate for me. Each sushi roll contained mango, papaya, Swiss chard, sunflower sprouts, carrots, and jicama wrapped in nori. It’s healthy, raw, fresh, and filling. I wanted to test John’s ability to take constructive feedback so I told him I’d prefer the spinach that accompanies the sushi chopped so it’s easier to eat. He took the advice like a seasoned professional and thanked me. It was obvious he understands the value of engaging with customers and valuing their input. A steady stream of regulars poured in while I happily ate my food and drank my juice. 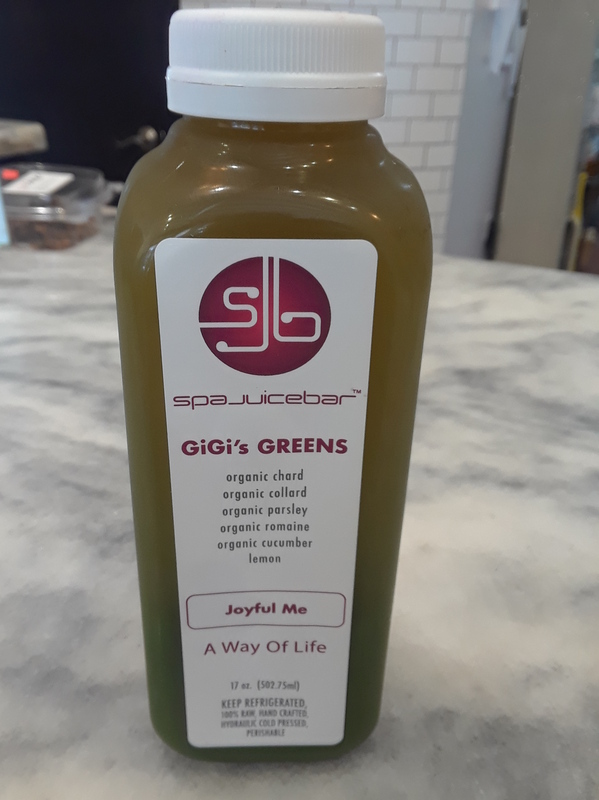 I spent $40 at SpaJuiceBar because the person who greeted me was friendly. I’ll return and refer friends. Over time, Mary’s single act of kindness could generate significant revenue for the company. That’s how to do business. I’m amazed at how many companies don’t understand this simple formula. Years ago, I asked a manager of a local mom and pop grocery store to donate a $25 gift card for a volunteer event to benefit children. I told him his company’s name would be promoted at the event as a sponsor of its auction. He knew I was a regular customer who spent money at his store. His cost on a $25 gift card was probably $10. He declined. I never returned, which probably cost him hundreds of dollars if not more because I also stopped referring friends. Penny wise, pound foolish. 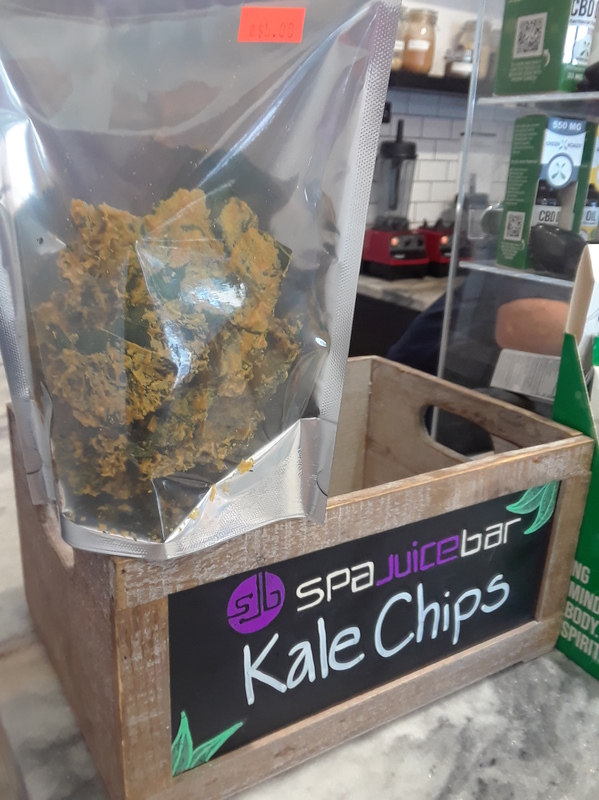 SpaJuiceBar is clean and the vibe is cool. Go for the food. Go for the people. You’ll return for both. BINGO! I’m happy that there is actually a restaurant/business out there that GETS what is takes to be successful! Happy employees, (paid well, treated well, and respected) an engaged owner who values customers/employees and customer/employee feedback (good & bad) and offers a good product at a fair price, etc. Referrals are the best form of advertising & they cost nothing – so many business owners are blind to this simple fact. Unbelievable about the dimwit owner who would not donate a gift card to you.